Good morning everyone! Happy, happy Tuesday! The weather is just wonderful here in Chicago land, not too hot and not too cool. Is it possible one of my most favorite times of the year is right around the corner? I get so inspired by the beautiful orange, red, green, and yellow colors in the Autumn/Fall season. So, I guess you know what this means? Its Halloween time!!! 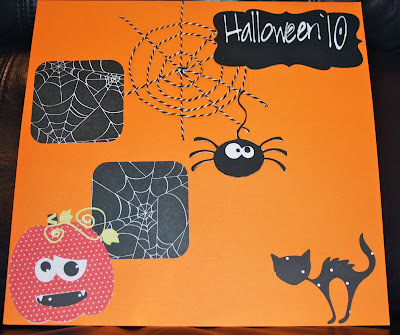 Halloween is almost here and we’re starting our Halloween Challenges. Since I always start working on my Halloween decorations around the house mid September. I thought why not try something a little earlier this year. 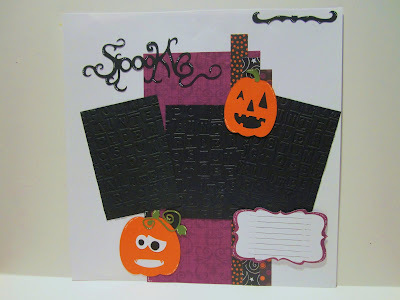 Therefore, I have decided The Digi Bistro Designers and I should do something that reflects a spooky Halloween for our (This to That) Tuesday Challenge this week. 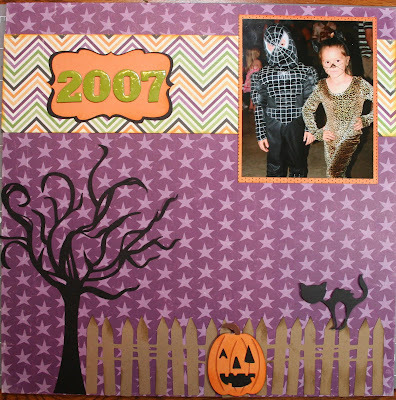 Our challenge is to make a Halloween scrapbooking page using The Digi Bistro’s Halloween Town cutting files. No worries if you haven’t purchase this file. Although we would love to see what you create with The Digi Bistro SVG cutting files, use your Cricut cartridges or other cutting files that you already have. 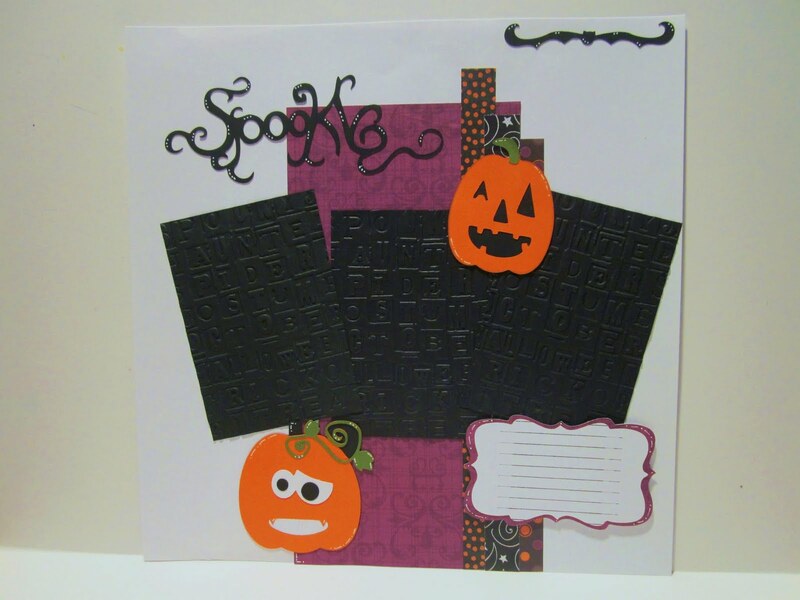 Our super talented Designers have created layouts using the Halloween Town SVG set to get your mojo flowing! I hope our Designers have given you enough inspiration to go by. This is another simple challenge and we would love to see your fabulous creations! You will have a week to get your inspiration flowing and link up here on Cher’s Studio to win! 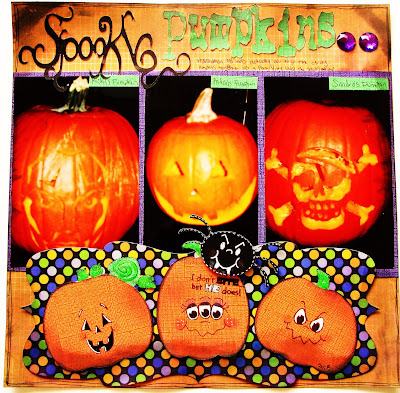 Our prize this week is a chance to win The Digi Bistro’s Halloween Town cutting files. 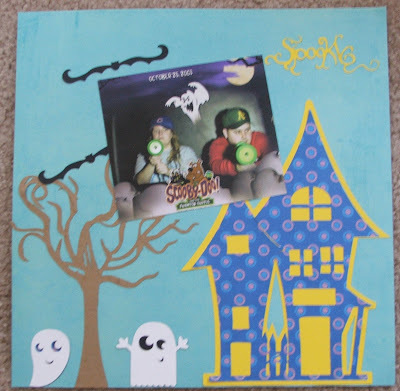 This contest will end September 6th, 2011 at 11:59PM CST. We look forward to your wonderful layouts. Great projects from the Design Team! love the pages!! thanks for a great challenge! They are all cute layouts. I like the variety. I am glad Carey invited me over. Cher, thanks for hosting. I just finished assembling my layout. I am not a scrap book person. But it was fun. I await my hubby to return with the camera. You have a couple entries and those are really nice too! OK--Anonymous is ME. Don;t know why it posted that way. Still waiting on the camera. I'm excited to play along.